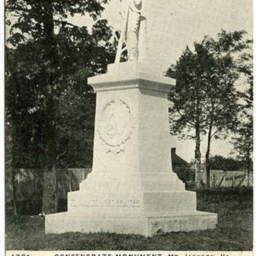 Postcard with a picture of the Confederate Monument located at Our Soldiers Cemetery in Mt. Jackson Virginia. Card notes 350 men were buried there, 112 unknown Confederates.